Seriously, how awesome does that look. Imagine Special Forces soldiers zooming through the skies at 60 mph, covering distances of 30 miles or more without being picked up by radar. It could actually happen. A group of German companies with expertise in parachute systems have joined forces to create the Gryphon Next Generation Parachute System. 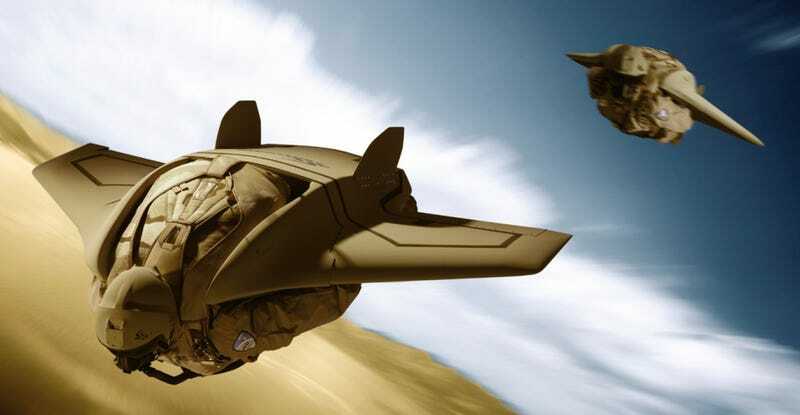 Designed for high altitude jumps, the Gryphon has a 6-foot wingspan and a glide ratio of 5:1, meaning that a solider can glide up to 30 miles in the air—60 if they go ahead with plans to add a small engine like the one used by Yves Rossy to cross the English Channel. "All equipment is hidden in a lifting body optimized for stealth, the radar-signature is extremely low," says the Gryphon data sheet (PDF). "Detection of incoming Gryphon soldiers by airborne or ground radar will be extremely difficult."